We’ve partnered up with Jacksonville’s premier, local coffee roaster Bold Bean, to serve some serious espresso drinks and drip coffee! Our talented crew gets in the restaurant early every morning to dial in our espresso machine so that it pulls shots to Bold Bean’s strict standards! 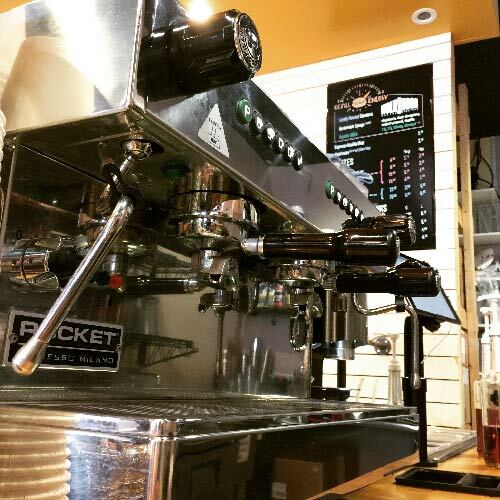 Combine dialed in espresso with locally sourced dairy from Wainwright Farms and our homemade syrups and you get some incredibly delicious drinks! Say hello to the the Phoenix Breakfast Wrap! 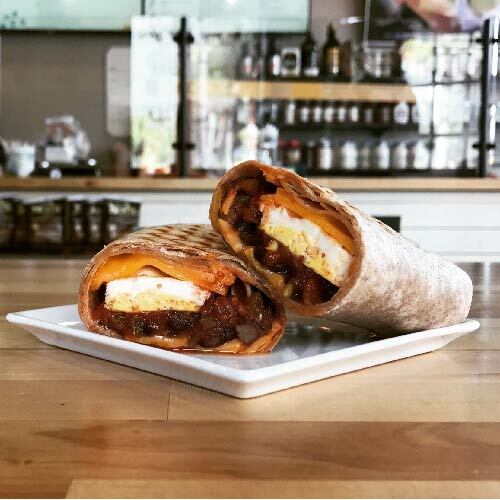 First, the Phoenix is filled with freshly cooked organic eggs, aged cheddar cheese, organic black beans, organic salsa, hot sauce and a dash of our house seasoning. Then we wrap it in a 100% whole grain wrap and press it on our grill! All of our food is made fresh to order so you can customize away if you like! Eating healthy is a lot easier when the food is delicious! If a recipe is not delicious first, it does not make it on our menu! Organic and locally sourced as much as possible. When we can’t get organic or local ingredients, we use the next best all natural option. Everything on our menu has nutritional purpose. So, if you eat keto, your mom is vegan, your boyfriend is a body builder and your dog likes our peanut butter frozen yogurt, you will all be happy here! My Go-to: I am obsessed with the 50/50 Salad, power greens, quinoa and chicken… either the southwest or asian! For a post workout breakfast I love the Banana Pancake Bowl! My go-to is the Power Blend salad with power greens and tempeh. Delicious!